Who says brown is boring? 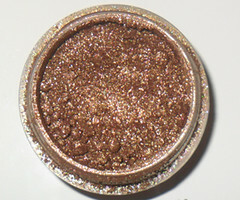 Meet my favorite custom-blend pigment, which I’ve named “Goddess”. 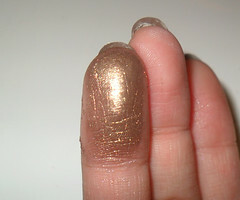 It’s earthy, but it’s a strong, gold-flecked high-sheen metallic brown which is never boring to wear. In fact, it’s not always appropriate for the day, especially if you work in a more formal corporate environment where too much sparkle is frowned upon. Ah, well… I’ll look forward to the weekends. 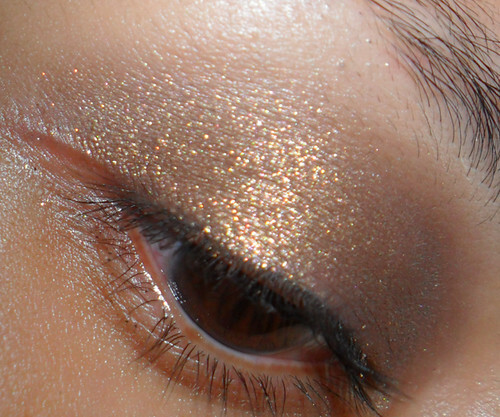 I mixed this up on a whim and then realized I didn’t note down what pigments I used and in what proportion, so now I’d be very hard-pressed to replicate this ever again.